I am always in awe of individuals that despite of already living abroad still never forget their roots and gives back and strives to create change in their hometowns. One of them is Stan Tanco-Serofia, a former schoolmate at Notre Dame of Surala and an online friend, he is currently in the United States and has this campaign called Project Public Library for the children in his hometown T'boli, South Cotabato. Though I have not meet him personally, I admire Stan for his advocacy and how he is using social media to make it happen. In an interview, Stan shares what is Project Public Library and making a difference in T'boli. 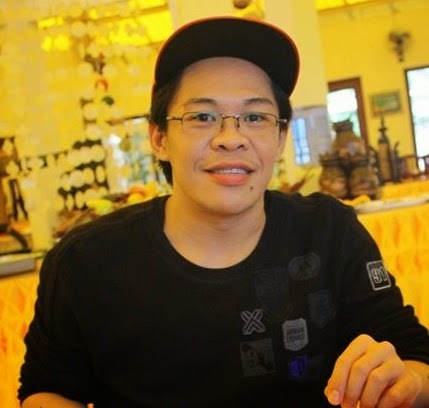 My name is Ebden Skynyrd Tanco-Serofia, I'm from Poblacion, Tboli, eldest son of Councilor Abelardo "Poorboy Serofia Jr. and grandson of former Vice Mayor Bernabe "Abing' Tanco. I grew up in a small town of T'boli, South Cotabato, growing up and living day to day is very simple, nothing so fancy, but my dream and my ambition are out of this world, I might be so ambitious as they know me, but I always want something different, something convenient and not the same stuff, and I do a lot of travel abroad and these experiences taught me how to live quite differently from what is used to. When I was living in Manila, I came across with some people that has the same interest with me which is community service, volunteerism and rescue, there are high profile personality that I'm going out with, we did some disaster works under the Office of the Vice President, and I was trained by the best disaster/rescue personnel we have in the Philippines, I'm just the lucky one. I also got a chance to do a lot of community service under the International Foundation which is also based here in the US. While working as a call center agent I used to ask my office mates for donations for our project, usually basic stuff for kids, the responses were always overwhelming. And just recently Studying here in the US, stumbled upon this idea that I can start my own, with my mind and heart staying at home I always thought how can I help Mindanao, especially my hometown T'boli. What is Project Public Library? Project Public Library is basically an organization which is just about to give birth very soon. We aim to collect reading materials from individuals or companies, private or public, that are willing to share. Our mission and vision is to provide books/reading materials to every kids in Mindanao. How and when Project Public Library started? It all started when one day I was in a bus stop in Scottsdale in Phoenix, Arizona. I was amazed with a public place that has bookshelves with full of books, I started to ask things about it, who are providing books? Is this for free? They pointed me to a house in front and its for free, you can borrow, but in return you have to donate a book or two. And from that day on, I started posting in my Facebook asking for books and I was overwhelmed how people wanted to support my advocacy and my partner is our very own online clothing store which is also from Tboli, the Boe Clothing. You can check our Mission and Vision statement from this site talltaleboe.wordpress.com and from that inspiration i made #projectpubliclibrary. What's the inspiration behind Project Public Library? The inspiration behind might start when i was growing up, studying in public school and sharing of aged old books, that in my mind I don't want the future T'boli kids will experience. But reality bites we have 25 barangays in total but I can only count in my fingers which has a library and that is not even updated, I believed that since I graduated from elementary it's still the same book that they have up until now stuck in our library. Public Library because it is open for everyone, no age limit no preference as long as you want to read or want to have quite time you can utilize our Library. Do you have partners in this project? I do have partners, most of them are my family and friends and also our local government. When will be the launching of Project Public Library? This will formally launch on September as soon as my first shipment will arrive in General Santos port. I have seen how you promote this advocacy in social media, how your family or friends responded? I got an overwhelming support from them, and some of SOCOMA members (a group of South Cotabateños based here in US) invited me to join them on August 23, 2014 for a yearly celebration and part of that celebration is my book raising for #projectpubliclibrary. The first project is suppose to be only for 2 libraries which i collected from mostly family and friends but one of my good friend endorsed me to a private NGO to seek help and they showed me support which I'm flattered of. Did you get support from LGU-T'boli, other groups/ individuals? Yes! LGU is supporting with approval from our municipal mayor, Mayor Dibu S. Tuan. and i got this international partner that is more than willing to help. How many books, school supplies, etc have you gathered so far? To this date I got no accounting of the books, but as far as I know 10 libraries that can house 30 thousand books each room. I don't have school supplies yet, but we have toys a lot of toys for our toy library. What is your message to those who have supported your advocacy for T'boli so far? I am so grateful and still overwhelmed with the support that we are getting, guys in behalf of people of Tboli and #projectpubliclibrary, from our heart Bong Salamat! 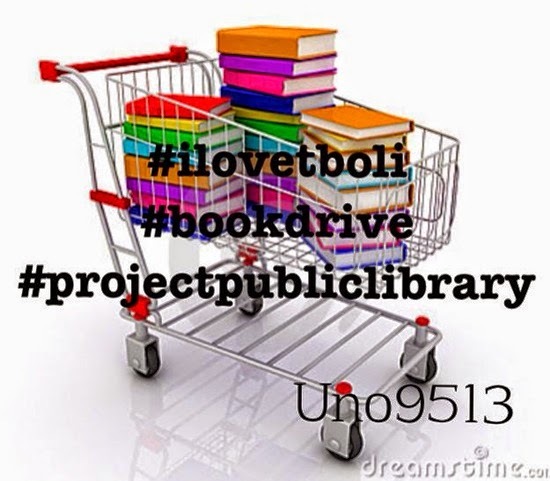 The sibling of this project is #projecttoylibrary which will be also launched on the same date. Next? I got a lot on my plate for Tboli, I'm still praying for our rescue and health care but this year we got to finish this first and early next year hopefully it will be for PWD's (persons with disability) I have a good grip with the right people that is willing to help, and I'm praying that T'boli will be one of the recipient of the world's richest NGO. If you want to get rid of your books or any reading materials, give them a new home and a new life! Let's support the Project Public Library. You can contact Stan Tanco-Serofia on Facebook or email - eserofia@yahoo.com.